After attending the Barber Vintage Festival at the end of the 2013 race season as a spectator/collector/enthusiast, I boldly announced that 2013 would be the last year that I didn't race. And so it was. 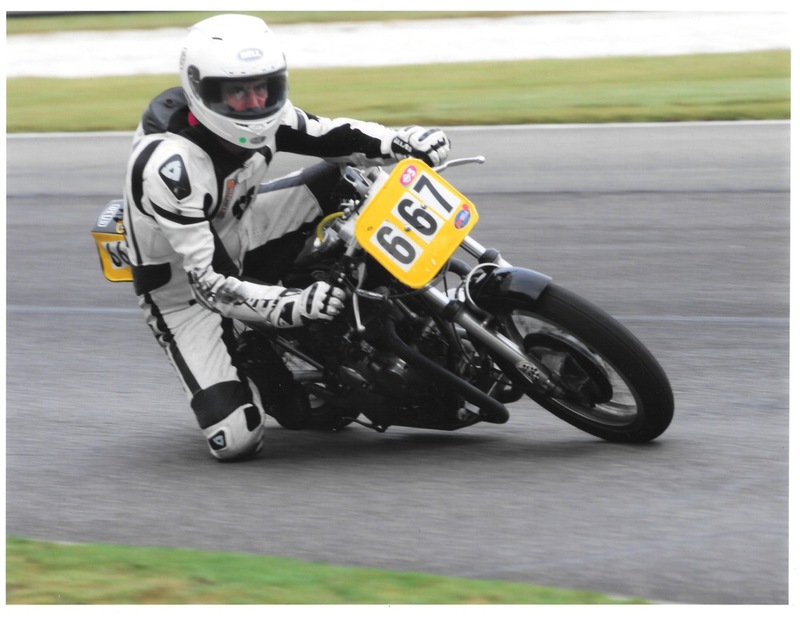 The first race in the 2014 AHRMA National Championship was at Roebling Road Raceway, in Savannah, GA. After completing the AHRMA race school on the Friday, I was on the starting grid the following two days. By the end of the 2014 season I raced at 7 of the 10 weekend events, campaigning a heavily-modified ex-Tim Joyce T-100 unit Triumph in Sportsman 500 class and toward the end of the season, in addition, a Laverda 750SFC clone.